Having ceramic tiles in your home can add immense beauty and value to an otherwise drab looking home. 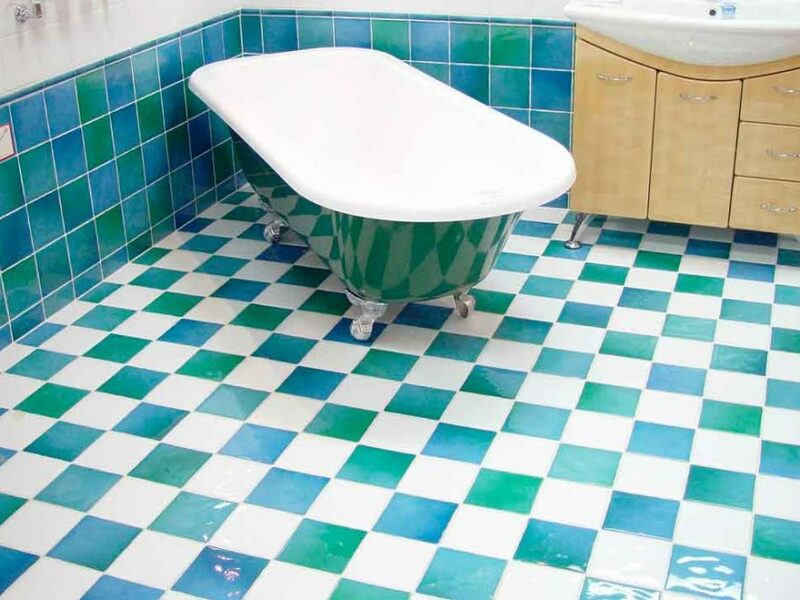 Maintaining your ceramic tile floors is the most important task to achieve. If you are wondering what is the best cleaning solution for ceramic tile floors, check my recommendations of the five best cleaning solutions that I have found on the market. After more than five years of having ceramic tile floors and trying different cleaners, we have found the best results with Method Squirt and Mop Cleaning Solution. It was able to remove all kinds of stains and dirt far better than other products. As a bonus, it ads a dazzling shine to the floors. Read our full review of this product further down in this article. Let’s start with our top pick. 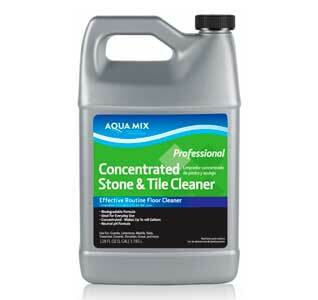 A floor cleaning solution that you can use on every kind of surface, especially on your beautiful ceramic tile floors. It is a non-toxic solution which is safe enough to use every day, yet strong enough to remove all signs of dirt and grime from your ceramic tile floors. 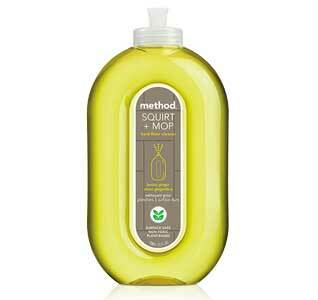 Method Squirt and Mop Cleaning Solution is the best cleaning solution on the market which works best for those who have allergies or asthma, as it is incredibly gentle. From all the products we have tested this one was on top of the list due to its safety and cleaning capabilities. Item weight: 25 FL oz. The lemon ginger smell can be something that you do not enjoy. In this case, all you need to do is ventilate your room after cleaning, and you will find the smell naturally disappearing after a few minutes! Click here to check other customer reviews on Amazon and find out all about the beautifully scented, gentle floor cleaned, the Method Squirt and Mop Cleaning Solution. A professional quality tile cleaning solution that will help you lift off any dirt and grime off your floors, along with stubborn stains or marks. The Aqua Mix Floor Cleaning Solution is the ultimate product for you if you are looking for the best professional quality floor cleaning solution which is excellent for just about any water-safe surface! The cleaning solution is in concentrated form, so it can be quite powerful and have an overwhelming smell. However, you can straightforwardly fix this issue. The cleaning solution is to be used in a diluted form mostly, and in concentrated form only on stubborn areas. You can ventilate the area you are cleaning to avoid smelling the overpowering scent! In case you use it as a concentrate, after you finished with cleaning, make sure you mop the surface with a regular wet mop or a steam cleaner. Find out about this powerful cleaning solution; the Aqua Mix Floor Cleaning Solution is the best cleaner to use on water-safe surfaces. Click here to check other customer reviews on Amazon! If you are looking for a super strong cleaning solution which will wipe off even the most stubborn of stains, then StoneTech Cleaning Solution is what you need to buy. However, be extremely careful when using this powerful solution! 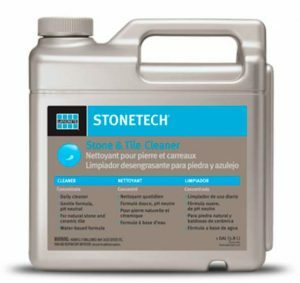 The best, most powerful cleaning solution on the market; StoneTech! The product is extremely potent and can be quite harmful if not used with caution as it can injure your skin or cause issues if inhaled. However, there is a simple fix to this. Always wear protective gear such as goggles and gloves when using this powerful cleaning solution! It is also recommended to wipe down your floors with a damp mop after using the solution to avoid any harsh fumes. The best, most powerful cleaning solution on the market, find out all about StoneTech Cleaning Solution! Click here to check other customer reviews on Amazon! If you are looking for a cheaper solution that will still take care of your ceramic tile floors, then Bona Stone Cleaning Solution is the best match for your needs. This solution cleans your floors while leaving behind a subtle sheen and is the best, most affordable cleaning solution on the market. The product is quite gentle and will not work on very stubborn stains. Instead, it cleans and leaves behind a sheen. To clean your floors of stubborn stains, you need to scrub the floor first and then apply Bona on top of it for flawless results! Click here to check other customer reviews on Amazon and find out more about this incredible cleaning solution. 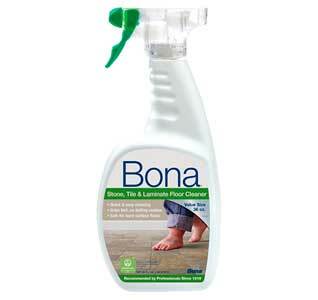 The Bona Cleaning solution is the most affordable solution on the market that will do an excellent job for you! A great product with a natural odor-lock technology which removes all odors and stains from your ceramic tile floors in a very efficient manner. 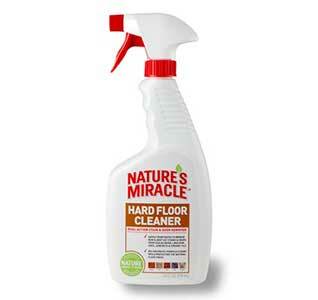 This fantastic solution protects the natural coating of your ceramic tile floors. It is the best cleaning solution on the market for those looking for a cleaning solution which will preserve the natural surface and polish of the ceramic tile floors. The spray bottle can be slightly inconvenient for some users; however, this problem has a straightforward fix! You can unscrew the bottle and pour the contents into another spray bottle or simply a pour and use bottle for better accessibility! If you are looking for a cleaning solution that will not ruin the natural polish and coating of your floors, instead make it shine, even more, then Nature’s Miracle is the best product on the market for you! Click here to check other customer reviews on Amazon!